Ahead of next month's blu-ray release of Batman: The Killing Joke, DC All Access have released an exclusive clip from the hotly anticipated animated feature. 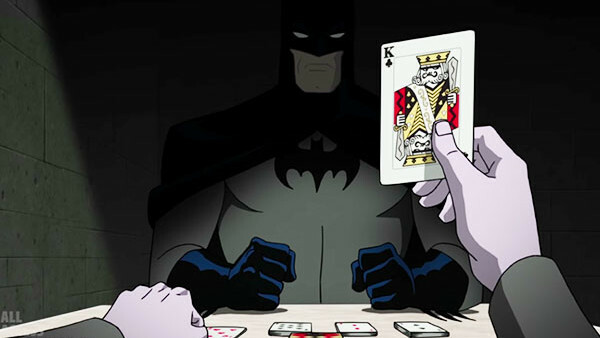 The clip shows Batman entering The Joker's cell to discuss their relationship and the inevitability of one of them killing the other as the Joker silently - provocatively - plays cards alone. You'll be able to see the whole thing when The Killing Joke appears in cinemas for one day only on July 25th. Batman: The Killing Joke is available on Digital Download on July 16th or on blu-ray on August 2nd. 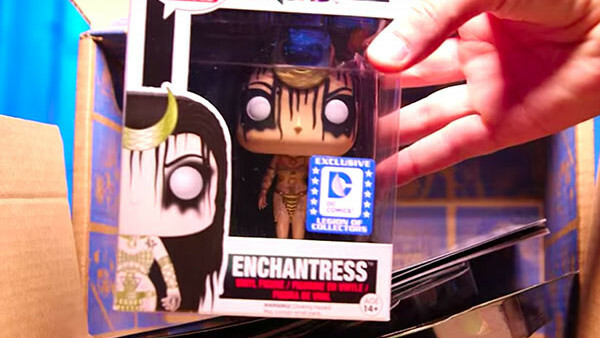 The show also unboxed the new Suicide Squad Legions Of Suoerheroes collectors box, revealing everything subscribers can expect to get their hands on. As well as a Katana patch and Deadshot badge, there's an exclusive Funko Suicide Squad tee, Joker and Harley Quinn action figures, and a copy of Suicide Squad Vol 1 with a special cover.